A small plastic straw that we use with most of the beverages and throw it after using it only once, is actually a major contributor to an impending environmental disaster. It is no secret that straws and plastics in general are extremely harmful. Plastic straws are the 11th most found trash in the ocean. It takes about 200 years for it to decompose and they cannot be recycled in most of the places. It may seem to be a small thing, but once all the usage adds up, it becomes a big problem. Each year, one million seabirds and 100,000 marine animals die from ingesting plastic. According to UN estimates, the world uses about 500 billion plastic bags, of which, half of them are for single use or disposable items such as grocery bags, cutlery and straws. India generates about 15,342 Tonnes Per Day (TPD) of plastic waste. 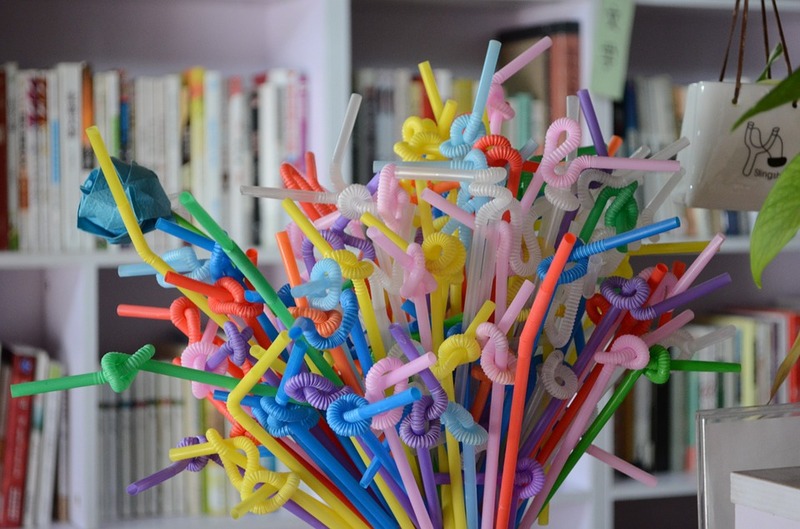 In the United States of America (US), about 500 million straws are used on a daily basis, which is enough number of straws to circle around the earth 2.5 times. A plastic straw is not a necessity. One can easily say no to the use of plastic straws. All you need to do is, refuse to take a plastic straw whenever you visit a restaurant, or even at your own house. It is an effortless measure to protect the environment. Bamboo straw: Made out of bamboo and paper, bamboo straws are not at all expensive and are environmental-friendly. A pack of four bamboo straws cost INR 99, and it comes in various aesthetic designs. It can be purchased online easily. Paper Straws: Paper straws are the best alternative for a plastic straw. It is 100 pc biodegradable and decomposable and easily made. Many restaurants have started replacing their stock of plastic straws with paper ones. Stainless Steel Straws: An extremely new, but practical solution to get rid of plastic straws. They can be used for a long time and can be carried everywhere without any stain. Though it is a little expensive compared to regular straws, it is a one-time investment. Steel straws are available online. Glass straws: They are durable and easy to use. Glass straws are non-toxic, reusable and an excellent alternative to plastic straws. They can also be purchased online. NO straw: If any of these alternatives are inconvenient, the best option is to not use a straw at all. It is not difficult to drink a beverage without a straw. So, if you are not using a straw at all, it is good enough. 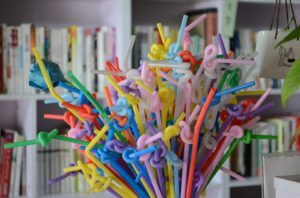 No straws attached: An initiative taken by three young girls in order to draw attention to ‘use-and-throw’ syndrome around the world. The foremost aim of this initiative is to reduce straw usage and ultimately eliminating them from our environment. According to them, if every individual refuses to take a straw at a restaurant, they will stop keeping it altogether. StraWithdraw: Another initiative taken by two girls studying in Loreto College, Kolkata, to spread awareness about the harmful effects of using a plastic straw via social media. They are also approaching eateries and corporates, requesting them to switch to an alternative or to not use a straw at all. A class 9 student of The Shri Ram School Aravali, Gurgaon had taken up a challenge of replacing 50,000 plastic straws with environmental-friendly ones by June 5, 2018 (World Environment Day). The youngest intern at a Delhi based NGO completed the challenge before the given deadline. Turning down a plastic straw is the easiest contribution one can make for the environment.